Get down and dirty with us just in time for spring! Join Jessica Leung as she leads you in the creation of modern, geometric concrete planters in this two-part workshop. 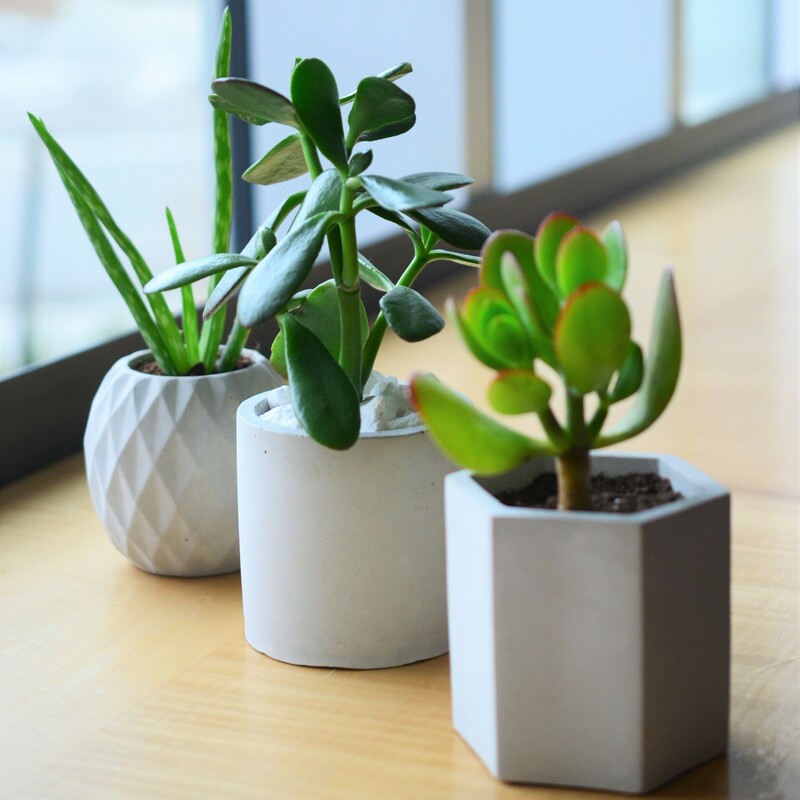 Through hands-on learning, you will discover the materials, techniques and handling required to cast two of your own medium (9 cm tall) planters. Release your planters from the moulds, then finesse and add finishing touches to personalize a happy home for your plants. All materials are provided and no previous experience is necessary.